Back in Print! 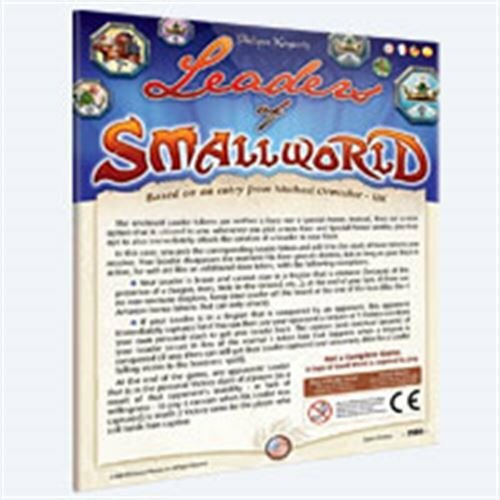 The Leaders expansion features Leader tokens for all Small World Races. They are neither a Race nor a Special Power. Instead they are a new option for players: whenever you pick a new Race and Special Power combo you may opt to attach the services of a leader to your Race. He will be a welcome addition to your strength but with the risk that he might be captured and ransomed!